Both a brand and a life philosophy! At Lombardia-Drinks everything starts with respect and love for ourselves (health), for others (solidarity) and for our planet (sustainability). This sustainability is vital to secure our children’s future and give them the best chances in life. Real ecologically and sociologically responsible businesses are more then just a trend. It is a crucial reaction to the expanding industrialisation of our food production. 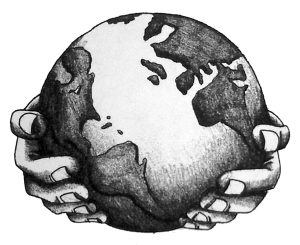 Sustainable businesses also encourage solidarity and collaboration amongst people. — from the World Commission on Environment and Development’s (the Brundtland Commission) report Our Common Future (Oxford: Oxford University Press, 1987). Lombardia-Drinks are a hot topic. We hear the craziest things about it. But what is the real story behind our products? 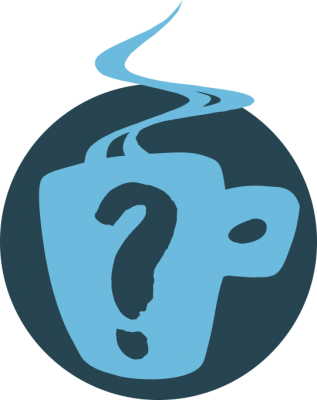 What is it exactly we do and how do we do it? And what is the reasoning behind the things we do and the way we do them? Click on following buttons to find out more about our quest for sustainability. At Lombardia-Drinks we are very proud of our 100% organic production. All agricultural ingredients are of organic produce. Except in case of our classics, such as the original GingerLove, for which we use fair trade ingredients. The roots of the Lombardia-Drinks range lie in a place called ‘Lombardia deli & diner’ located in Antwerp, Belgium. 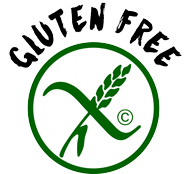 Since 1972 we specialise in healthy, organic food and specialized diets. As we evolve as a company by continuously expanding our network of responsible suppliers for healthy ingredients, so do evolve our products equally. Getting an organic certification was a logical step that fitted perfectly with our sustainability philosophy. 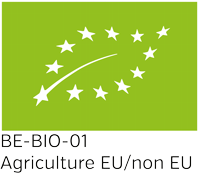 The European law with regards to organic-certification is by far the strictest in the world. Organic certifications from US for example are more relaxed. Therefore a product that has been organic EU certified usually does not have any problems being accepted in other organic markets. It’s a nice warranty for European consumers. Protect the future for generations to come! 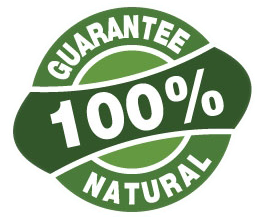 Our products are made of 100% natural ingredients. No chemical, manipulated or artificial ingredients used. The processes we use to RAW dry our Drinks are also 100% natural (and organically certified) and guarantee an optimal conservation of the Why . It all seems quite logical, but if you were to take a look at the majority of our food production, you will soon notice this is not normally the case. Why is 100% natural not that obvious any more? Profit maximization totally governs mass production. Each technical innovation leads to new uncertainties with respect to the consequences for our health (chemical treatments, genetic manipulations or artificial substitutes). Frequently these innovations do arise with a noble purpose in mind, but as is so often the case as soon as big money is involved, these intentions are relegated to the back of the mind. The entire food production process has entirely ceased to be transparent. And this has immense consequences for the naturalness of our food. A great documentary about this is GMOfilm.com. That’s why we at Lombardia-Drinks are very proud of our 100% natural ingredients. Our drinks contain no genetically manipulated organisms. Obviously! You’d think this is evident for all food products, unless they are clearly labelled otherwise, wouldn’t you? Unfortunately this is absolutely not the case for lots of products you throw into your shopping cart on a weekly basis. There is European legislation regarding the permissibility of GMO’s, but it leaves some wiggle room. A GMO volume below 2% of the total doesn’t have to be declared on the packaging. Only when you purchase organic certified product marked with a GMO-free label, you have a clear guarantee that it doesn’t contain genetically modified ingredients. GMO plants can pose a danger for the biodiversity, reduce the wealth and variety of plants and create a dependency on chemical companies for the farmers, through the compulsory purchase of seeds or chemicals. They also pose health risks: allergies, gene transfer (genes that are immune to antibiotics can pass from GMO plants to intestinal bacteria) and cross-contamination (transferral of genes from GMO crops to conventional crops). Living and eating in a healthier manner have an immense influence on the entire planet and your body and soul. Combine this lifestyle with the right amount of physical activity and you’ll feel better than ever before. 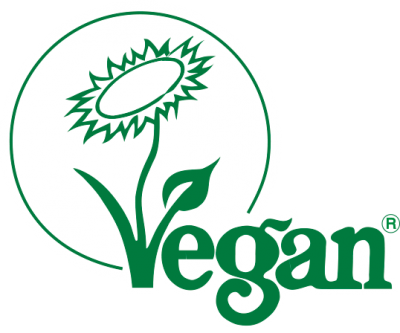 Veganism is seen by some as just a food philosophy, but actually it’s way more than that. It is also a clear and distinct reaction against the industrialisation of our food production and in particular the tremendous lack of consideration of animal welfare within this evolution. This is why veganism has always been an integral part of our thinking. Lombardia, the cafe and eatery where it all began, already promotes and serves organically certified food since 1972. Vegetarian and vegan dishes are important options on our menu, flanked by gluten free, lactose free, allergy free and detox options. 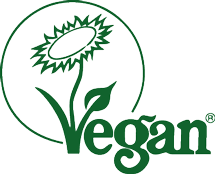 Therefore it only seemed natural to create fully vegetal recipes, which resulted in a certification by The Vegan Society. Clearly strict veganism isn’t attainable for each and everyone. But if you’re considering a more balanced and healthier diet, it’s always a good idea to integrate more fruit and vegetables in your daily eating habits. The Lombardia Drinks are all created, produced and packed in Belgium. We work with exotic ingredients of the best, most natural, organic quality. Therefore these don’t always originate from Belgium or Europe. But each time there is a high quality local option, that’s the one we go for. In our search for suppliers we always start very locally. We widen our scope to the entire European Union, provided we receive strong guarantees with regards to working conditions and ecology. We only search outside of the EU when quality issues force us to do so. We knowingly keep ourselves far away from hard to check developing markets. 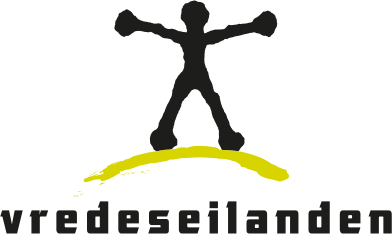 In those regions we put our trust in the guarantees provided by our leading partner ‘Vredeseilanden’, the fair trade network, other social partners and NGO’s. 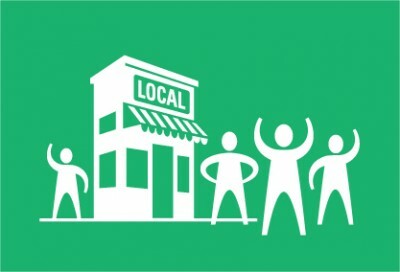 We feel it is extremely important to support local manufacturers and merchants, as much as possible. To our opinion the European economy would fare well if it got a sustainability boost. Because that’s the only way to ensure that future generations will enjoy a varied and stable labour market. Not everyone is a knowledge worker; therefore we need to continue to invest in our agriculture and manufacturing economy. Lombardia-Drinks has huge international ambitions. This might seem to go straight up against the idea of ‘local procurement and business’. We’ve been thinking about this matter as well. Whenever we reach the point at which we sell a sufficient volume in any given country, we try to set up a local production unit there (blending & packaging). We source all materials and packaging as locally as possible and provide employment in the local economy. That’s sustainability as well. One of the core values of Lombardia-Drinks’ DNA is fair trade. Trading can sometimes be quite tough. But it must always remain fair. We demand transparency, certifications and evidence about the circumstances and conditions to which people involved in the sourcing and production process are exposed. Starting at the level of the local organic farmer, through the international trader up to the local distributor. This is why we organize our sourcing and production as locally as possible. It increases the degree of control we gain over the production circumstances. Our main partner Vredeseilanden, aka VECO, stands for fair trade. It fits entirely in their #SaveTheFoodture sustainability campaign. They back us up in our communications with farmers in developing countries and work very actively towards raising awareness on fair trade. 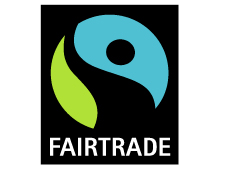 Wherever possible we choose to work with suppliers within the fair trade network. Regrettably this isn’t yet possible for all of the ingredients we need. At Lombardia-Drinks we think it’s very important to create healthy and responsible products. That’s why we always do our homework very well when it comes to sourcing ingredients. We only work with partners who can provide us with strong guarantees regarding the origin and health of their products. No freeze-dried or chemical processes. No sweatshops nor opaque merchants. At Lombardia-Drinks green is the new normal. Our marketing and brand-activation are no exception to this. Within Lombardia-Drinks we apply a holistic green philosophy. We’re always aiming at a balance between sustainability and commercially viable decisions in all of our business processes. The emphasis is very much on Healthy and Green. We continually seek to improve the recyclability of our packaging and point of sale materials of course, reduce our CO2 emissions. We prefer online communication to printing on paper; we implement energy- and material saving methods etc…. In our marketing we evolve towards more virtual communication in order to limit the waste of material as much as possible.